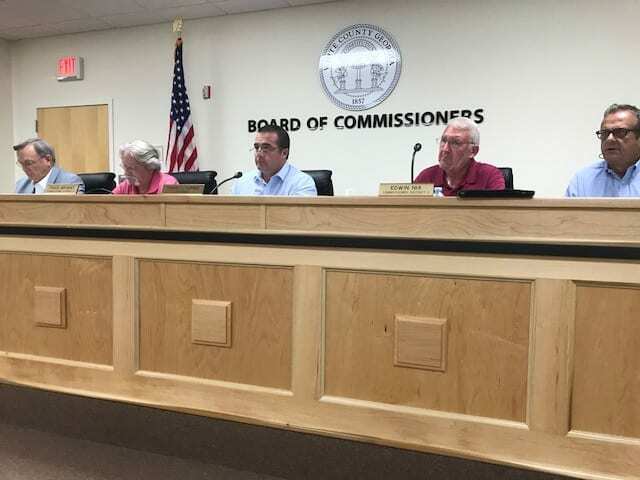 CLEVELAND, Ga. – The White County Board of Commissioners will hold a combined work session and called meeting Monday at 4:30 p.m. in the County Administration Building, 1235 Helen Highway. During the work session, commissioners will hold two public hearings. The first is to consider the application for a land use permit submitted by Todd Campbell to redistrict 3.2 acres located at 1617 Hwy. 115 East from Community Commercial District (C1) to Highway Business District (C2). The second public hearing is to consider the application for a land use permit filed by Tina M. Della for 1.66 acres located at 373 Yonah Mountain Road. The proposed use is to place the property in a “Rent by Owner” program. The present use is Residential Single Family District (R1). Commissioners will also consider awarding contracts to for senior services, animal control/veterinary services and scoreboards for ball fields at Mount Yonah Preserve. Discuss an appointment to the White County Board of Health to fulfill the remainder of a six-year term previously held by Emmett Shotts. Immediately following the work session, commissioners will hold a called meeting to consider entering into an executive session in order to discuss personnel.